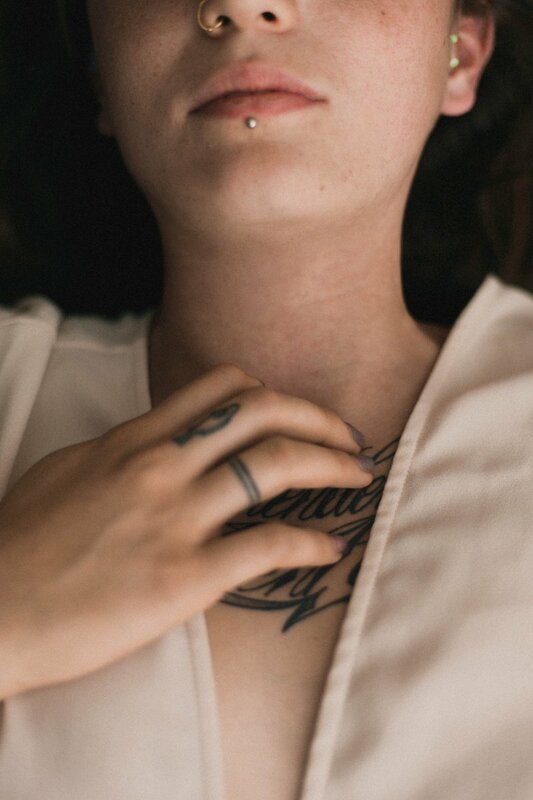 You may have thought that humans only have one set of lips so the piercing options were limited... but lip piercings actually fall into eight separate categories. Lip piercing is an ancient body modification, still common among certain African tribespeople who stretch their lower lips to fit large, discus-shaped lip plates. 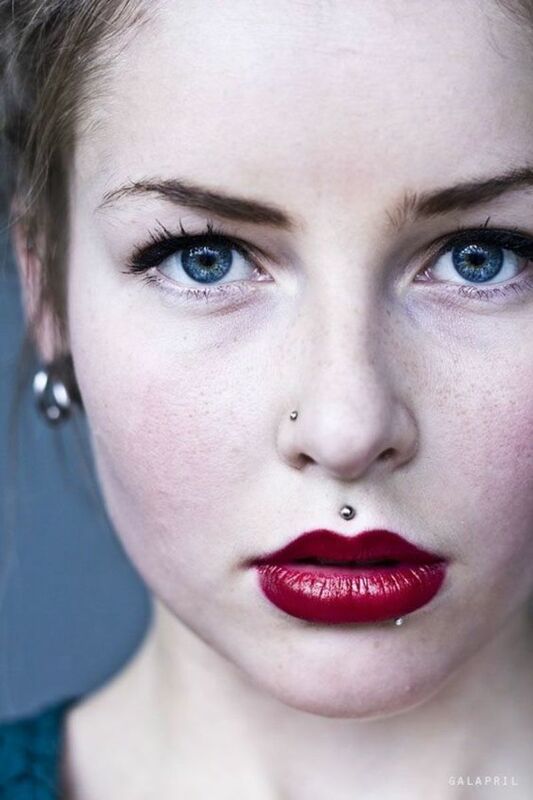 The two most common piercings are done on the lip and the labret. The basic lip piercing describes any piercing that penetrates the area directly surrounding the lips, usually along the bottom lip but sometimes found along the top as well. A lip piercing is pierced with a lip ring either directly in the center of the lip or just off to the side. It will almost always be pierced initially with a captive-bead ring, though after the wound has fully healed (which can take up to 4-6 weeks) you may later change to a stud if you so choose. If you do change it to a stud, however, then it becomes a labret piercing (pronounced "la-brett", not "la-bray"). Confusing, I know, but try to keep up. Because this is an oral piercing, aftercare is important on both ends: the inside of the mouth and the outside. 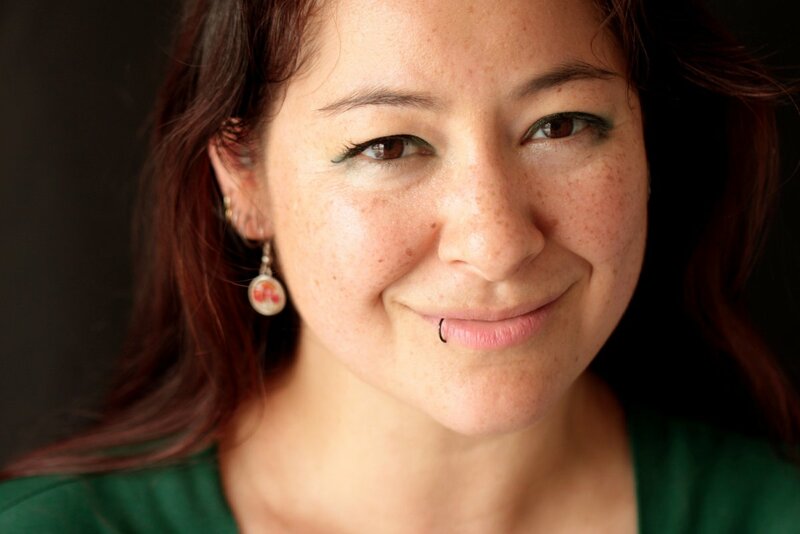 Your piercer should educate you on proper aftercare methods, generally involving a frequent Listerine rinse for inside the mouth and washing gently with antibacterial soap on the outside, done no more than twice a day. A vertical labret passes through the direct center of the bottom lip. 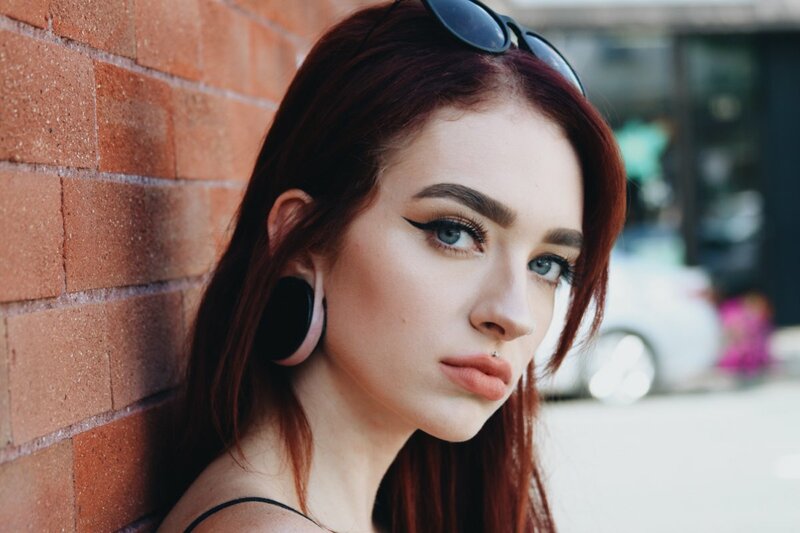 It differs from a standard labret piercing in that a curved barbell is inserted and both ends of the jewelry can be seen—one below the bottom lip, the other in the mouth between the lips. A lowbret is a horizontal labret that is placed as low as impossible inside the lip, just before your chin cartilage begins. A vertical lowbret is placed vertically inside the mouth, piercing through the cheek and emerging close to the jaw line. The barbell used for this type of piercing needs to be at least 1.5" in length. 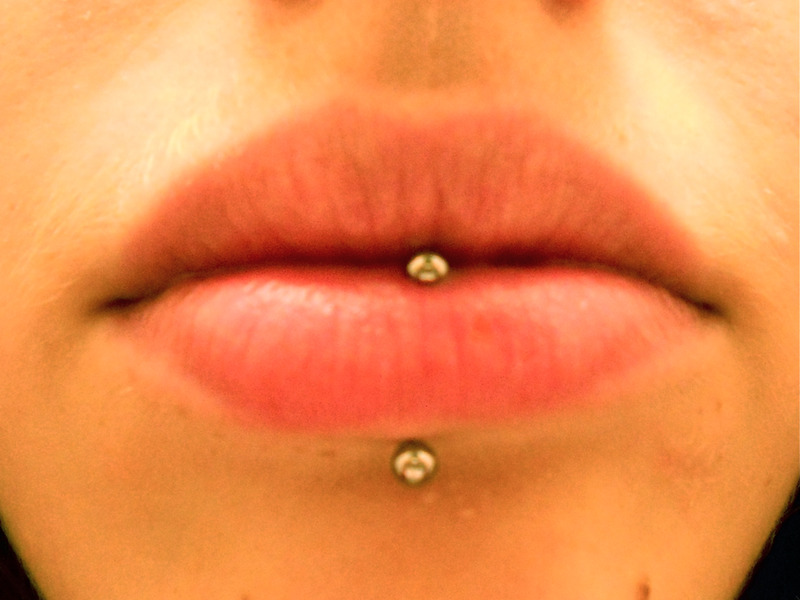 A horizontal lip piercing, as the name implies, passing directly through either lip at a horizontal angle. 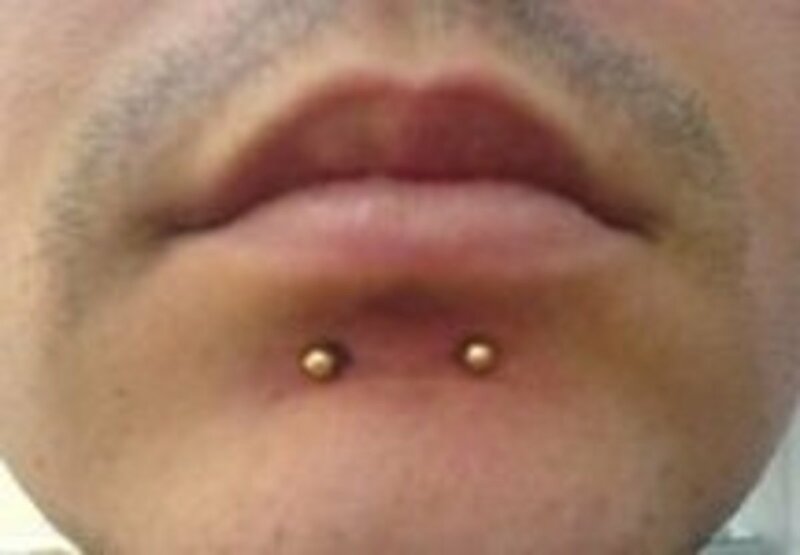 A horizontal labret piercing, on the other hand, passes horizontally just below the lip. The Madonna piercing (yes, she gets a piercing named after her) is sometimes called a Monroe piercing, named for the original beauty mark queen, Marilyn Monroe. A Monroe is located in the upper lip, slightly off-center to mimic the look of a beauty mark or mole. 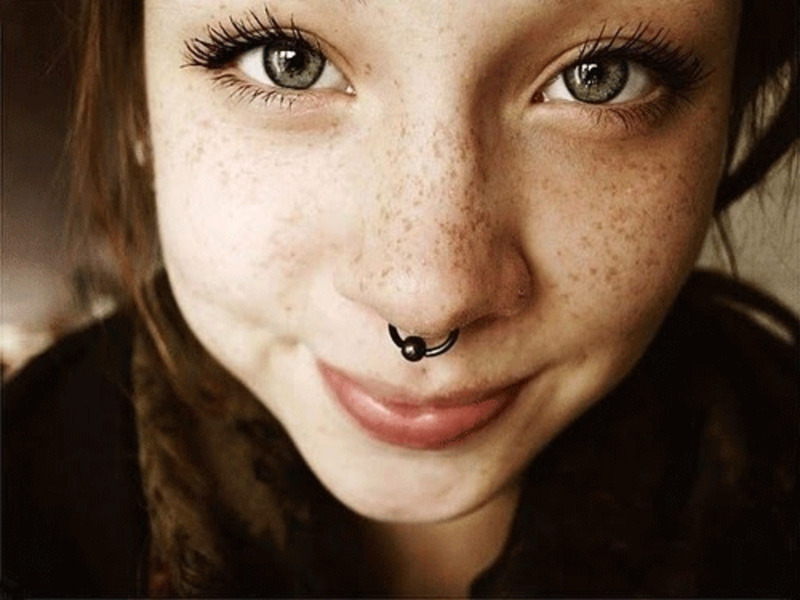 A Medusa piercing is the opposite of a labret piercing, located in the direct center of the upper lip. It is sometimes called an "upbret" or "cleft" piercing. I really want a vertical labret and a medusa but I'm too scared that they would reject. I'm also concered about the chances of infection because of the higher bacterial content of the mouth. I just got my Monroe piercing 4 days ago, can I change the bar? It's a little red and swollen but doesn't hurt at all. Thank you!! Does It Matter WhatSide You Get Lip Piercing On ? I have a Bridge, snake bites, and a septum. Just got my labret done a few weeks ago- technically the term is not derived from the French language, so it should be pronounced lay-bret, not luh-bray, but... oh well. It's healed nicely in just 6 weeks, haven't changed it yet- I want to give it at least 2 months before poking anything new in there. Simple aftercare- swish with alcohol-based mouthwash after eating, drinking, etc. Wash with basic antibac soap 1x daily, and soak with warm, sea salt water to soothe, both inside mouth and on outside (I boil filtered water and add real sea salt, and as soon as it's cool enough for me to bear I swish it in my mouth and squeeze saturated cotton balls over it). My original jewelry is long to allow breathing/swelling room, but I plan to switch to something shorter for less snagging. It does get caught on my lower gum and teeth if I'm not careful when eating or talking, more so when the piercing was fresh. Originally I had the urge to rip it out, which is a normal reaction when you have a foreign object embedded in any part of the body, but after a couple weeks the swelling went down and I've grown more used to it. I also have my bellybutton, left conch, and right nostril. I've debated doing my septum or bridge, but should probably be self-employed first... meh. I love piercings that are well-placed! My boyfriend and mom hate it. It does bother me that people act so shocked when they see it, like at my work- it's just a piercing, and lots of people have them, and they're not permanent. Get over it. As long as you take good care of them, and barely touch them except to clean them, it will heal nicely, if your piercer did a good job. Oh, and sleep on clean pillow cases to avoid getting germs in them. So far, I have my bridge, nose, septum, cyberbites, sharkbites, angelbites. A lot of really good info on here! i am so excited about getting my labret down bottom right side!! im more excited t han nervous and just ready to get this thing!! 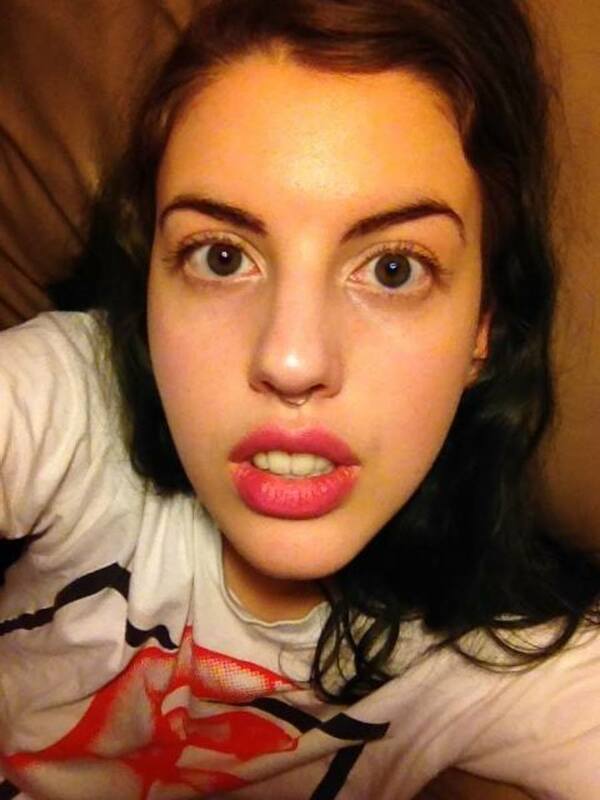 I got my monroe done 2 days ago and I love the way it looks. The only problem is that it swelled up really bad and the bar is too short, so I have to go get a longer bar put into it. they all have such nice noses!!! I just wanted to answer a few questions about some of the lip piercings, snake bites to be more specific. I've had snake bites twice, my work refused to let me use clear jewlery so I had to let them heal then when I got a new job and the boss was cool with letting me have my piercings I went and got them again. The question of "Do you get snake bites at the same time" Yes, they do snake bites at the same time, if you don't get them at the same time the healing process will be much longer, and the chance of having your snake bites uneven is higher. Healing time for me has been close to a month, but it all depends on how well the person takes care of the piercing. Also "Does lip piercings hurt" mine didn't neither time, but that's because I have a relatively high pain tolerance, I honestly think if done correctly, it's too fast for a person to feel pain but I could be wrong. The age without a parent depends upon each state, you should be able to call around at your local shops and ask them their about the age without parental consent. Also DO NOT USE ALCOHOL on piercings, this is very bad, it's kind of like pouring gas on a fire, it's a bad idea. You should use warm sea salt soaks to reduce swelling and/or redness DO NOT USE NORMAL SALT, that will burn and be a bad idea lol. Also some shops have a kit that you can purchase at the time you get your piercings that has all the things needed to help your piercings heal promptly and without trouble. I currently have 7 piercings so I feel I'm pretty experienced in this subject. Wish you all the best of luck with your piercings. Seriously guys? A Monroe is on the left side && a Madonna is on the right. The people who made this know what they are talking about. I just got a simple labret a few weeks ago, no it doesn't hurt when it's done but that week when it's swollen it hurts(: So glad I got it though! im gettin my lip peirced formy b-day this year andi was wondering do u get snakebites donw at the same time or do u wait for the first to heal? if so how long is the healing proses? I did my own snake bites and I love them it wasn't painful; they swole a little for a while. My friend who got it professionally done said it hurts. that is not very good information on cleaning. DO NOT USE LISTERINE. EVER. Use an alcohol free mouthwash like Biotene for the inside of the mouth, and a saline wound wash solution (from a metal can, not the squeeze top or screw top because bacteria can enter and make it unhygienic) for cleaning the outside. don't use antibacterial soap, because it is too harsh and makes the positive microbes fighting infection die off as well as any bad bacteria, and therefor prolongs the healing process. Do not use Bactine either. how do i know? been piercing professionally for 8 years. I have the vertical labret, snakebites, and the medusa. They are all super easy to do, don't really hurt, and look KILLER!! Definitely getting my lip pierced! I do have a concern though, I have a job where I talk on the phone all day, will it affect my speech at all with the swelling? If so how many days would I need for it to heal before I tried to work with it? Also, I am going to the beach VERY soon, and would like to get it around that time, I can't drink alcohol with it! How long must I wait before I drink alcohol!? Also, the beach salt water, and pool water? Would it really affect it if I got a little on it? I do wanna have fun on vacation but at the same time I want that lip piercing! Take care of all your piercings! I cannot stress enough. They can get infected, no matter how good your piercer. Clean 3 times a day with a Q-tip and antibacterial soap. Dry with tissue. Towels harbor bacteria. Let dry. don't spin your piercing, or use anything on it. It needs to heal around your jewelry. by constantly moving, or using vaseline or other topical creams, it will keep the wound open, so leave it alone. clean it, leave it. Best advice. Oh, and enjoy it! so you could be 14 and get your lip pierced if you have an adults permission? yes or no? So, I'm the 40-year-old and I got my piercing AND my tat! Bot look super GORGEOUS! I changed my monroe from the silver ball to a diamond...kept the 16 gauge longer stud in because I can tell it still needs to heal a bit inside...I was scared to change it out and the silver ball was on super tight! I even took the long part out and had to figure out how to put it back in! I kept washing my hands and the jewelry the whole time! How do we post pics on here? So, I'm interested in getting a lip piercing, just one, with a hoop. I'm a guy and straight, does it matter what side I get it done on? Does Gettinqq The Lowbret Hurt ? I got snake bites last week (I'm 19) and I love them. You have to take really good care of them and be sure to read up on after care. Getting it done wasn't too painful. It felt like getting a shot, in my lip twice. It was far less painful then the numbing shots you get during dental work! As for the parents thing, my parents were fine with it. "You're an adult and you can make your own decisions now". Though my mom thought they were weird. It's all personal preference. Definitely going to get a vertical labret! I love them! so honest scale 1 - 10 hw painfull is a madonna?? I just got my lip pierced two weeks ago. I got it done on the left side because i have my nose pierced on the right and i didn't want to much on one side of my face. I realy like having my lip pierced because I have tiny lips and i didn't think i would look good with it but i guess i do. now my second favorite piercing is my lip and my first is my toung. I had my snakes done to line up with the edges of my nostrils, instead of the corners of my eyes, this moved my bites a little bit closer together. I also had her (my artist) move them up a tiny bit so they sit directly on the edge of my lip instead of closer to my chin, so that when I hold my lips in a standard relaxed position the studs point down-ish. I think it looks pretty sick, if I do say so myself. I have pictures of my self at my facebook; I deleted most of my pics from MySpace so I won't post it. facebook.com/DarkSwagger have a look, friend me or whatever, if you want. my favorite piercingis my toung and my second is my nose.If you love piercings I would highly recmmend you to get your toung done, It didn't hurt at all and ive had mine for about three months. I just got my lowbret yesterday :) it hurt ab a 6 on a scale from 1-10 for me. I hate the fact that gave me a long one cause of the swelling but get to take it out in 3 weeks. i have a vertical labret and i love it, it actually didn't even hurt that much. im getting a percing this friday, people are telling me to get snakebites instead of spiderbites. but personaly i think snakebites are better, which one hurts more? I have all 4: they're called canine bites . top on bottom: snakebites . Oh man. French terms cannot be contradicted when you are not aware of how to use proppppper ENGLISH. Firstly. More information should be used. Bites have been majorly discluded, though Closed Doors has cleared a few things up. As for the Monroe. It isss located on the left. As was her mole. And some say that it's nickname is the Madonna, but this is incorrect. Nickname, no. Neighbor, yes. The Madonna or (Cindy) Crawford is located on the same position, but on the right. Though some of this is helpful..I've found a good bit of it to be incorrect. Along with the comments. Information could be added. Like the Dolphin combo. And the fact that a monroe and a madonna are infact different. they have similarities but are not exactly alike. A monroe is on the left. As was her mole. A madonna or (cindy) crawford is in the same position, but on the Right side. As for the labret... 80% of people go with LAH-BREY for pronunciation. This has to be said, it is not pronounced "La-BRAY" because it is not of French origin. I got a basic lip piercing about a week ago, and is it normal for the back of the stud to dent your lip? WTF does she care... It's my bloody body ! The piercings I have on my face at the moment are snakbites and septum. The snakebites didn't hurt at all. It is always different for everyone though. It all depends on if the piercer is very good and experienced. All I felt was a little pinch and nothing more afterwards. Whereas the septum was extremely painful, snakebites were nothing compared to it. I reallyyyyyy want a lip peircing but i'm really scared too. and i don't know how i would look with it on :| how bad does it hurt? how long does it take? so, im thinkin about gettin the vertical labret, but im unsure as the the pain level of it seein how it goes through the top of the lip. what is it called when you have a basic lip piercing and a monroe piercing on opposite sides? I got my labret done on my birthday, 4 days ago. It didn't hurt too bad when being done, my cartiledge piercings in my ear hurt worse. But it hurts like hell now. I was just able to start eating solid foods again about 2 hours ago, before that I had to eat baby food because it was damn near impossible to chew. I'm starting to really wish I had gotten my eyebrow done instead. So I had my tonque pierced since iwas in 8th grade, I am now a Senior in Hiqh school lol. It didn't hurt at all, althouqh the swellinq is annoyinq. I qot my labret or labray whichever way is correct pierced last thursday (6-10-10) Didn't hurt at all, I just think that the after care and healing process takes too long. I hate the crutiness during the healinq process, how lonq does it take for it to stop qetting crusty around the piercing? I got my lip pierced on the right , didn't hurt and if you have full bottom lips it can look very attractive on girls! i want to put a diamond in. but girls lip gloss also makes the lip rings more attractive! I've had my triple labret for 5 months now, and I love it. The best way I describe the feeling when the needle went in was...crunchy, haha. It's funny though. A lot of people are getting snake bites. I'm the only one in my area with a triple labret. It's sad to see everyone mimicking eachother. Expecially with body modifications. I was afraid that my new lowbret was too high. But the one in the picture looks just like mine. I feel much better! i just had my top lip done and no it doesn't hurt at all it just like having your nose and ears done, i love it, i wont my tongue done now and i am having it done in 2 weeks. 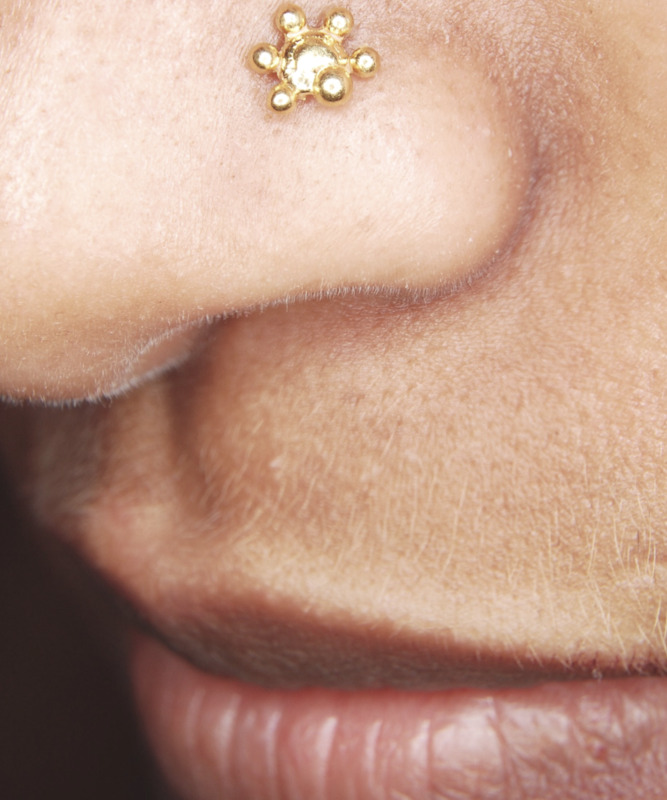 does the monroe or madonna piercing leave a scar when you take it out? and if so will it be bad? Hey guys what's the piercing below your eye i don't mean that dermal thingie mahoosy =] but the one that sits a bit higher on your cheek bone... am i talking about the same thing here or are the two different? much loves and such and would really appreciate an answer if you can help! ii realy like the vertical piercing am thinking of getting iit but ive hurd that iit grows out iis thiis true? I didn't think the monroe hurt at all; I have it done.Im getting snake bites in a few weeks. Im so excited! i got my septum done not to long ago, and i'm only sixteen. much to my mother disappointment, though. possibly might get 'spider bites' too. Spiderbites are two piercings on your bottom lip close together. Angelbites are basically a monroe on each side of your mouth. Monroe is on the left side. Madonna's on the right. Snakebites are just a simple off center lip piercing on each side of your mouth. Angelbites are the reverse of snakebites. Medusa is the reverse of a vertical labret. Pronounced la-BRAY. Not la-brett. I'm getting a madonna this week and am pretty excited, but have semi-low pain tolerance. Hopefully I don't flinch >. ""okay so i have had a lot of piercings. spider bites (monroe on both sides)...""